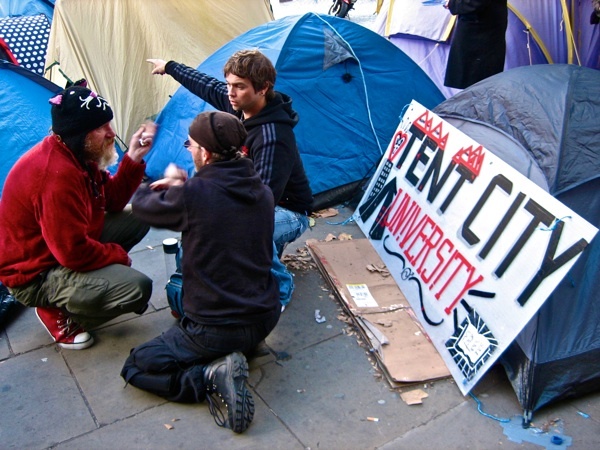 In the week that the City of London evicted the camp from St Paul’s Cathedral, it is salient to recall the moment of joy in October when it all started – upon the spot that is both where campaigners gathered to demand the Magna Carta in 1215 and where the Gunpowder plotters were executed in 1606. Something extraordinary has happened at St Paul’s Cathedral. 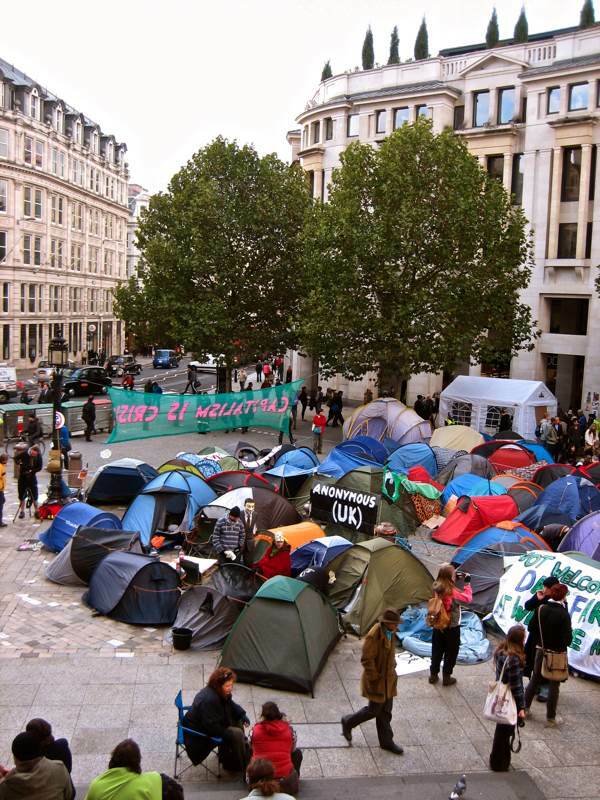 Inspired by the recent occupation of Wall St in New York, protestors gathered in the City of London to occupy the Royal Exchange on Saturday, yet the police made sure they never got beyond their rallying point on the steps of the Cathedral. 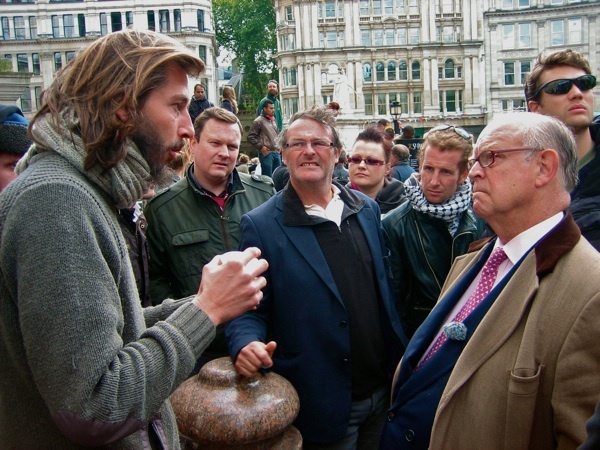 But then – in an unexpected move – Canon Giles Fraser came out of St Paul’s to welcome them and ask the police to leave, effectively granting sanctuary to the protestors. 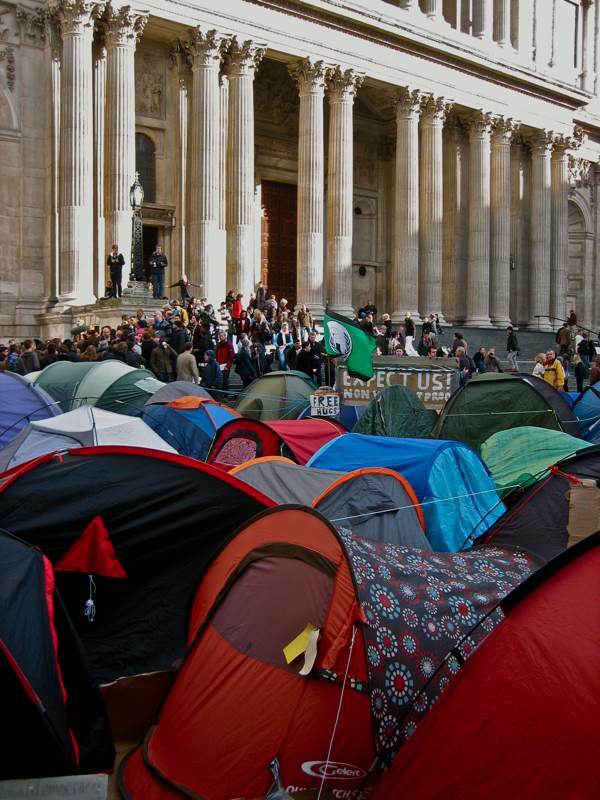 And since Saturday, they have pitched a small encampment of tents beneath the towering West front of Wren’s great edifice, thus establishing a highly visible presence for themselves at the heart of Europe’s financial centre, with the blessing of the Cathedral authority. 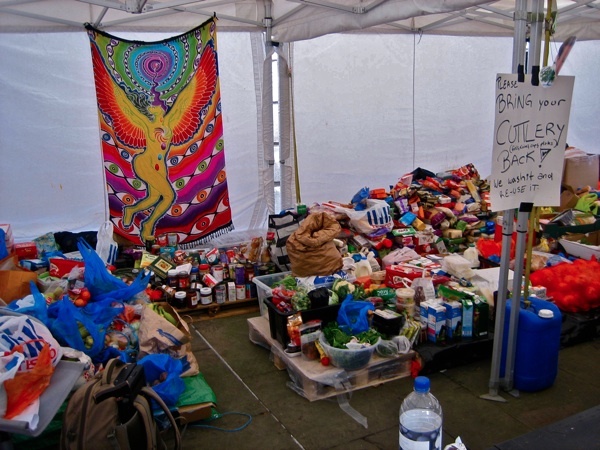 In just a few days, this city within the City has established its own life, with a first aid post, legal advice centre, a cafeteria serving meals prepared from donations of food which are being received, a recycling centre and even a university offering seminars in alternative economics and a range of other relevant topics. 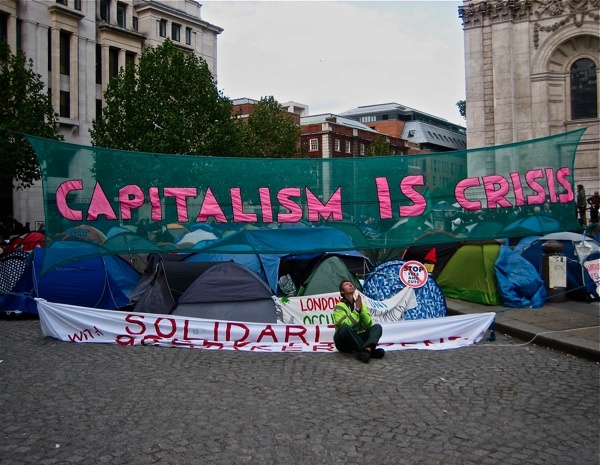 “We all understand there’s something fundamentally wrong,” one of the tent occupants admitted to to me, citing the prolonged wars, global financial crisis and collapsing economies that are indicative of our time. Yet to my eyes, a near miraculous change had already come about – because the presence of the camp gave everyone the opportunity to speak their minds publicly, to be heard and to listen. The combination of circumstances had delivered a rare moment of liberty, in which recognition of common humanity was uppermost as the basis for all interaction. The quality of openness and mutual respect – and the possibility that complete strangers could open their hearts to share their beliefs about what kind of world they want to live in – was such that I can only describe this event as a spiritual one. In front of the vast Cathedral, a man was reciting the sermon on the mount. All around, musicians were playing and the standard anonymity of the City streets was suspended. 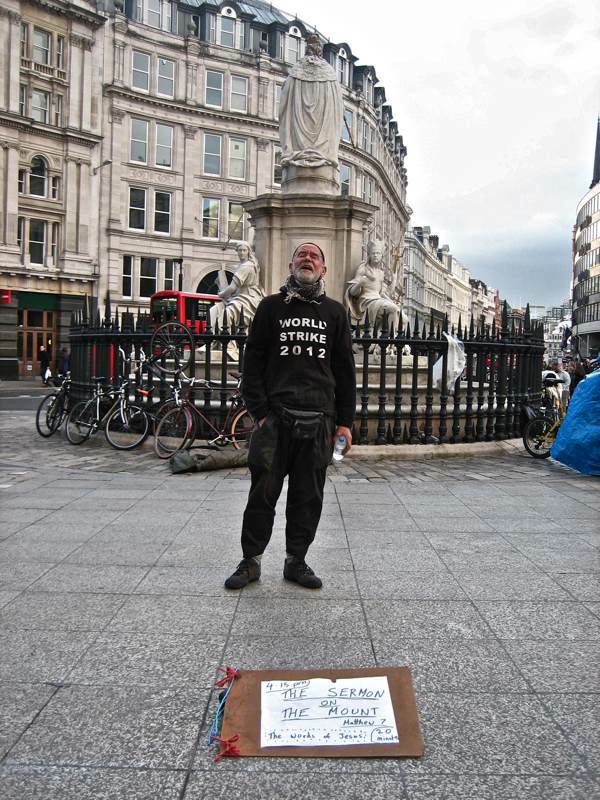 Normality was exposed as a charade because a group of ordinary decent people felt passionate enough to risk themselves, taking leave of their jobs and families and everyday lives, sleeping on concrete at the onset of Winter in Northern Europe to express their moral outrage at the direction our world has taken. And when you see this, it renews your hope. 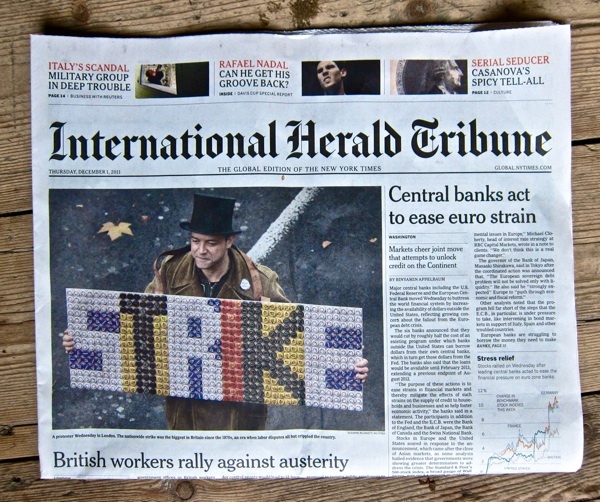 Spitalfields resident Robson Cezar, the King of the Bottletops, who became Artist-in-Residence at Occupy London, seen here on the cover of the Herald Tribune at the time of the National Strike. 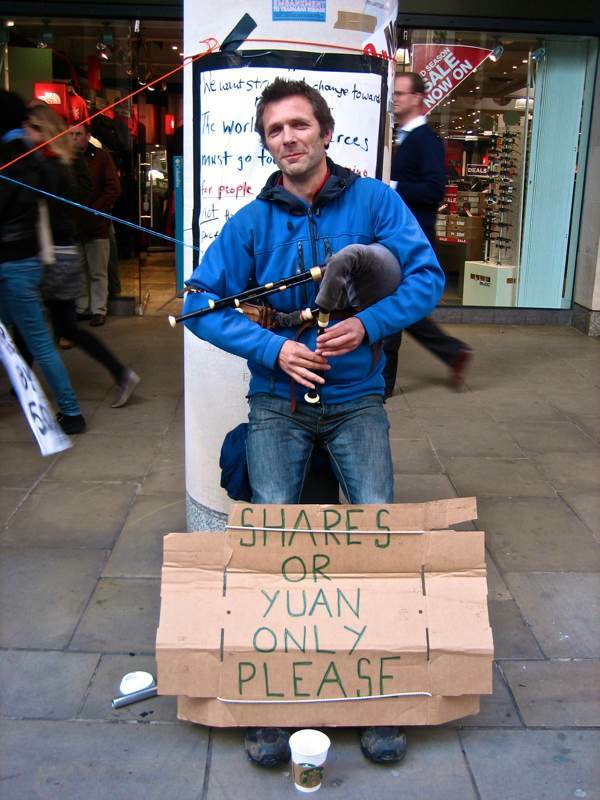 Robson Cezar at Finsbury Sq last November. 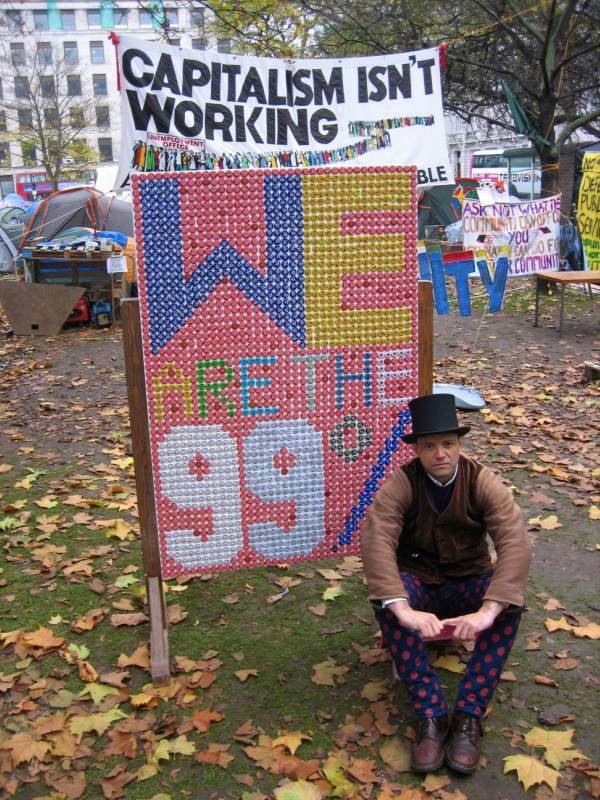 While all of that protest went on soft fat pink bankers walked by smirking to their champagne lunches. thank you very much for marking the end of the occupation. 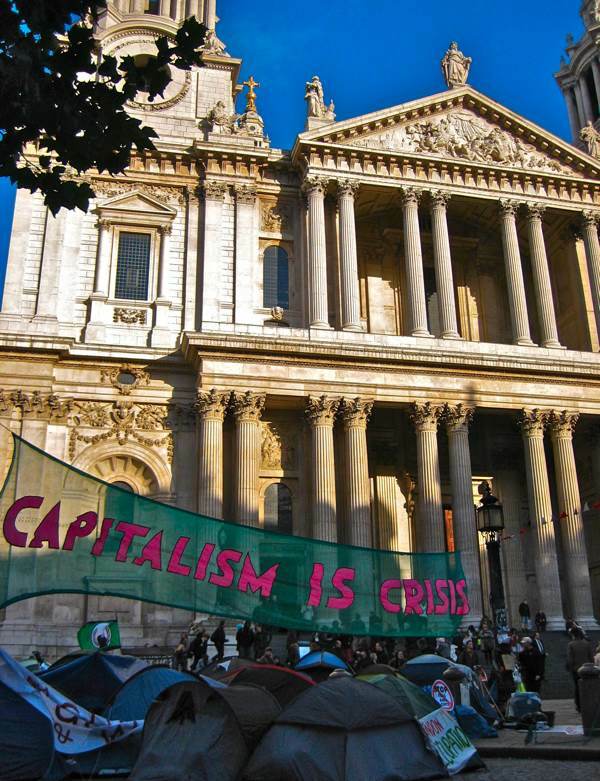 the infrastructure revealed by the city of london and its minions at st paul’s was truly baffling and infuriating. i read the OLX demands about ending the city’s ancient and absurd privileges with interest. next year in jerusalem. This is a wonderful hope inspiring post. I also really like the granting of sanctuary. More hope. Thank you. Thank you for this optimistic text and also for the visual report! The Artist-in- Residence role seems to have been very well taken care of.